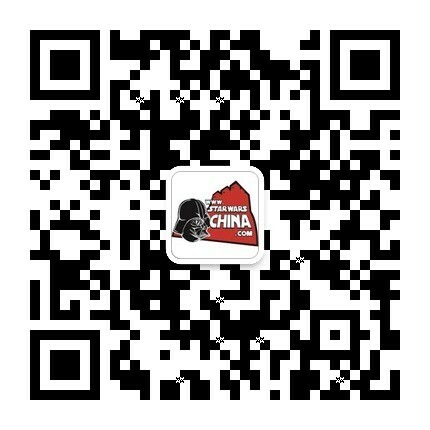 ﻿﻿ 【短篇】迷失的维德（Vader Adrift） - 汉化发布区 - 星球大战中文网 Star Wars China - Powered by Discuz! "Did you hear about Darth Vader, sir?" The veteran Stormtrooper turned his white-helmeted head to see his younger counterpart approaching across the spaceport's shuttle launch pad. In a gravelly voice, the veteran trooper said, "What's that, TK-813?" The younger trooper came to a stop. "Darth Vader, sir. He's here." The veteran glanced at the large boxshaped shuttle that had just touched down and was now resting on its thrusters beside a nearby gantry. "Lord Vader's at the garrison?" "No." TK-813 pointed up to the sky. The two Stormtroopers were among those stationed at the spaceport on the planet Hockaleg in the Patriim system, where the Tarkin, an Imperial battle station, was under construction in Hockaleg's orbit. Named in honor of the late Grand Moff Tarkin, the battle station consisted of a massive, planet-shattering ionic cannon that was bracketed by hyperdrive engines and defensive shield generators. Shaped like a concave dish, the ionic cannon resembled the Death Star's main offensive battery, but was without the Death Star's flaws-or so its designers claimed. Although the Tarkin was considerably smaller than the Death Star, it was still so large that it was visible in Hockaleg's blue sky as a rectangular satellite. TK-813 thought for a moment, then said, "Grimes overheard someone at headquarters mention it." "Grimes" The veteran looked back at TK-813. "Who's Grimes?" "You know, sir. He's TK-592. No, I mean, he's... uh, TK-529." The veteran sighed impatiently through his helmet's respirator. "When did he tell you?" "Not long ago, sir. Just after you cleared the last flight to the Tarkin." The veteran glanced at the landed shuttle, looked back at TK-813, and said, "At our next rotation, you, 'Grimes,' and I are going to walk over to headquarters so we can have a chat about the importance of maintaining military protocol and distributing information on a need-to-know basis. I suspect a number of laborers on Hockaleg have no fondness for the Empire. For all we know, some could be Rebel spies." But the veteran wasn't listening. He was focused on the bright, yellowish glint that appeared to be growing across the top of TK-813's helmet. The veteran twisted his neck sharply to look skyward again. The rectangular point of light he had seen earlier had transformed into an expanding blossom of fire. TK-813 followed the veteran's gaze and said, "Oh, no. Is that the Tarkin? But the elder trooper was already running for the shuttle, taking his blaster rifle with him. Darth Vader was seated in the cockpit of his crippled TIE fighter. The fighter's transparisteel window was shattered and its starboard wing was a mangled mess. If not for his armored pressure suit and the fighter's reinforced hull, the Dark Lord of the Sith might not have survived the collision with the large chunks of ice that had materialized in his path less than a minute before the Tarkin exploded. Because the explosion had released billions of pieces of debris, as well as electromagnetic radiation that prevented starship-to-starship transmissions - including distress signals-all Vader could do for the moment was sit in his fighter; listen to the rasping noise of his labored, mechanized breathing; and reflect on how he had once again missed an opportunity to capture his son, Luke Skywalker. Only a few weeks had passed since his duel with Luke on Cloud City. He had traveled to Hockaleg in his personal flagship, the Super Star Destroyer Executor, to inspect the Tarkin. He had never had much regard for so-called superweapons, and had been morbidly amused that the new battle station was named after the commanding officer who had lost the Death Star. His interest in the Tarkin had changed, however, the moment he had sensed Luke's presence on-board. Vader had previously failed to apprehend Luke at the shipyards of Fondor. And on the planet Aridus. And on Monastery. And Mimban and Verdanth, and, most recently, in Cloud City. With those experiences behind him, Vader had no intention of letting Luke slip away on the Tarkin. Suspecting the young Rebel would try to sabotage the battle station s main power reactor, Vader had instructed Imperial officer Colonel Nord to remove all security personnel from the reactor areas and to increase sentries along possible escape routes. And then Vader had stood outside a generator room and waited for Luke to walk right into his trap. Vader had not anticipated that Colonel Nord would try to kill him. The assassination attempt had distracted Vader long enough for Luke to escape on an Imperial transport. Vader had not had time to deal with the traitorous officer before going to his TIE fighter to pursue Luke. Nor could he stop Luke from transferring to the increasingly which had appeared from out of nowhere. And when someone had dumped the Falcon's water supply, Vader had been unable to evade the wall of ice that had rapidly formed in the Falcon's wake. From his damaged fighter, Vader had watched the Tarkin rotate to direct its ionic cannon at the Falcon, and he realized the impending blast would destroy his fighter, too. He had no doubt that Colonel Nord was directing the weapon's aim, or that his chances of escaping the blast were less than nil. But then the Tarkin had exploded over Hockaleg, launching wide tendrils of burning fuel in all directions. Two nearby Star Destroyers and dozens of smaller vessels were consumed instantly. The explosion's shockwave struck Vader's TIE fighter, knocking it away from the ice and sending it tumbling across space. Debris from the Tarkin sailed past the fighter and buffeted the port-side wing. Vader wrestled with his flight controls, struggling to keep the fighter from straying far beyond Hockaleg's orbit. He spiraled for several seconds before he managed to activate a single thruster and brought the fighter to a relatively dead stop before the thruster burned out. Vader's eyes shifted behind the lenses of his black metal mask as he looked through his cockpit's damaged window. Wreckage was everywhere. Several kilometers beyond the Tarkin's blazing remains, the Executor was apparently intact, but Vader took little consolation from this observation, because, due to the electromagnetic interference, he could not even signal the Executor to go after the Millennium Falcon. It occurred to him that even if he could get a signal through, the Falcon had probably already left the Patriim system. And then he saw a white saucer-shaped blur speeding out of Hockaleg's orbit, and realized he had spotted the Falcon. He was about to use the Force to call out to Luke, but then the freighter vanished into hyperspace. And once again, Vader felt robbed. He had to make Luke his ally. Luke had to yield to the dark side of the Force and join him. Unless that happened, Vader would never be able to overthrow his own Master, the Emperor Palpatine. Vader saw a large piece of twisted metal moving toward his fighter, and he reached out with the Force to send the debris off in a different trajectory. He wondered how the Emperor would react when he learned of the Tarkin's destruction. With the Emperor's far-reaching powers, it was possible that he was already aware of what had happened in Hockaleg's orbit. Although Palpatine would undoubtedly express his displeasure at losing the Tarkin, he had been lately more preoccupied by the construction of the second Death Star in the Endor system. Vader assumed the Emperor would likely send him to Endor to ensure that the new Death Star did not follow the Tarkin's fate. Thinking of this prospect, Vader fumed. He was a soldier, not a building supervisor, and he had grown weary of working with scheming officers and incompetent bureaucrats. He checked his comm system again and heard nothing but static on every frequency. The Executor's crew had been aware that he was in his TIE fighter when the Tarkin exploded, and he surmised they had already sent out search teams to recover him. He also suspected that he could be in for a long wait. Unable to use their ship's sensors to locate his fighter, the teams would have to use their own eyes to find him amidst the scattered debris. Although he didn't entirely trust any member of his crew, he did trust that they would find him sooner than later. After all, they knew the price of failure. Fear kept everyone in place. But then he thought of the late Colonel Nord, who had most certainly feared him, too. Nord hadn't been the first Imperial officer who'd tried to kill Vader, and like most of the other would-be assassins, he hadn't had the courage to take on the Sith Lord directly. The problem with such cowards, Vader decided, is that they're not more afraid. As Vader watched for any sign of the expected search teams, he wondered who or what might try to kill him next. He wondered about this with something resembling fervor, as he had become increasingly eager, over the years, to rid the galaxy of anything that threatened him or tested his patience. He welcomed the unexpected because he knew it could not kill him. He was confident that he would continue to survive because he always did. He sincerely believed his survival was the will of the Force. Vader looked to its main viewport, and was further surprised to see the craft was helmed by an Imperial Stormtrooper. Vader switched on his fighter's interior lights so the trooper could see him clearly. He raised one black-gloved hand, pointed at the shuttle, then pointed above his head to the fighter’s egress hatch. The trooper responded with a nod. Vader watched the trooper expertly maneuver the shuttle to position its starboard side as close as possible to the top of the fighter's cockpit. Vader slid back the egress hatch above his black-helmeted head, rose from his seat, and launched himself through space to the waiting shuttle. The trooper had already opened the starboard airlock. Vader guided his body into the shuttle, and the airlocks outer hatch slid shut behind him. The chamber soon pressurized and then the inner hatch opened. Vader proceeded to the shuttle's bridge, where he found the armored trooper standing at attention. Vader gazed down at the trooper, and his deep voice echoed in the bridge as he said: "Why isn't an Imperial pilot in command of this vessel?" Without hesitation, the trooper replied, "I was stationed at the shuttle launching pad on Hockaleg when the Tarkin exploded, Lord Vader. I left my post to search for survivors." Vader recognized the trooper's distinctive voice and clipped manner of speech. "You served in the Clone Wars." But the trooper replied, "Yes, sir." "And you are an experienced pilot." "Then why," Vader said, "are you in Stormtrooper armor?" "I disobeyed an order and assaulted a superior officer twenty years ago, sir," the trooper replied, no trace of regret in his voice. Vader was impressed by the trooper's strong composure. In fact, he did not sense any fear in the trooper. And although Vader lived and breathed to instill fear-especially in subordinates-he did not feel any compulsion to rattle this particular soldier, who exuded reliability as well as loyalty. Instead, Vader simply asked, "What was your operational unit during the Clone Wars?" Vader's breathing apparatus made a small wrenching noise. "If you were in Shadow Squadron, you were trained by...?" "General Skywalker, sir. Do you wish to return to your Star Destroyer?" "Not yet," Vader said. He gestured at the shuttle's controls. "Leave a distress strobe with my fighter and then take me to the garrison on Hockaleg." As the trooper deployed a beacon, he said, "Begging your pardon, sir, but when the search team finds your fighter empty, they may assume that you're adrift." "So be it," Vader said as he lowered himself onto the copilot's seat. As the shuttle descended through Hockaleg's atmosphere, Vader said, "I am curious about the details of your demotion." "It's all on record, sir," the trooper said, angling the shuttle toward the spaceport. "I would prefer to hear it from you." The trooper cleared his throat. "You are aware I'm a clone, sir?" "Well, twenty years ago, after Shadow Squadron was disbanded, I had a new commanding officer-a non-clone. When he ordered me to kill my gunner - who had been wounded in combat, but not mortally - I refused. And when my commanding officer tried to shoot me for refusing, I broke his jaw. I spent a year in solitary." Vader considered the details, then said, "What happened to the injured clone?" "He recovered, although he was killed several months later during a bombing run." "Do you regret your actions?" "No. sir. Everybody dies. I'm just glad I helped a friend live a bit longer." As the spaceport came into view, Vader said, "If you were to serve under my command, would you ever disobey an order?" "Yes, sir, but only if it helped you live longer." Vader was stunned by the aged clone's words and the implication that he might disobey one of his orders...or that he might consider the Sith Lord a friend. Before he could ask the clone for an explanation, the clone tested the comm and received a loud burst of static. Switching the comm off, he said, "I can't establish contact with spaceport control, sir. We don't have clearance to land." Vader said, "Do you expect any troops will fire at the shuttle?" The shuttle landed beside the launch gantry. The shuttle's boarding ramp extended and the clone stepped out, carrying his blaster rifle. As he led Vader down the shuttle's boarding ramp, he tapped the side of his white helmet and said, "CT-6981 to TK-813, do you read me? TK-813?" He glanced back at Vader and said, "Just static, sir." At the bottom of the ramp, he looked around and added, "Where is everyone?" Vader heard shouting in the distance, and then the sound of blasterfire. He turned to the clone, and could tell by the tilt of the clone's helmet that he heard the shots too. They looked toward an alley between two nearby buildings and saw a Stormtrooper emerge, firing his blaster rifle behind him as he ran. He stumbled and collapsed, face down on the ground. "TK-813!" The clone ran to the fallen trooper and rolled him over. Blood flowed out from under TK-813's chest plate. The clone hauled the younger Stormtrooper behind a small shack while Vader strode toward them, his eyes focused on the alley. "What happened?" the clone said to the injured trooper. "You were right about the laborers, sir," the trooper gasped. "They don't like...the Empire. After they saw the... Tarkin blow, they attacked the headquarters, and then...."
The trooper's body went slack. "He's gone," the clone said. "Stay with me," Vader said. He walked fast toward the shuttle, the clone keeping close to his back. They were halfway to the ship when five armed men in grease-stained coveralls ran out from behind the gantry and started firing at them. Without breaking his stride, Vader raised his right hand and deflected the energy bolts with ease. He assumed the five men recognized him and were aware of his capabilities because they gaped and cringed as they lowered their blasters. Keeping his gaze fixed on the men, Vader said to the clone, "Board the shuttle and prepare for..."
Vader was interrupted by another round of blaster fire, followed by a clatter of armor behind him. He glanced back and saw the clone sprawled on the ground, clutching at his left side. Another group of laborers had emerged on the launch pad and now faced Vader too. They all looked very afraid. Ignoring the laborers, the Dark Lord dropped to one knee beside the clone. The clone was still breathing, but Vader could tell that he wouldn't last long. The clone said, "I couldn't just walk away and... let them hit you, sir." Vader removed the clone's helmet. Although the clone still resembled Jango Fett, his face was more heavily lined with age and his hair was mostly white. Vader said, "Contrail, when we were with Shadow Squadron, at the Battle of the Kaliida Nebula, your call sign was Shadow Eleven. You flew well." The clone did not seem surprised that Vader knew his name and details about Shadow Squadron. He smiled and said, "I had...a good teacher, sir." And then his eyes went shut and he died. Vader rose and directed his gaze to the men who had shot the clone. One of the men said, "Lord Vader, please forgive us. We didn't know you were on Hockaleg." "I was adrift," Vader said as he drew his lightsaber and ignited its glowing crimson blade. "Allow me to thank you all for bringing me back." May The Force Be With You!And Remember:Do Not Panic！Use The Hitchhiker's Guide to the Galaxy!